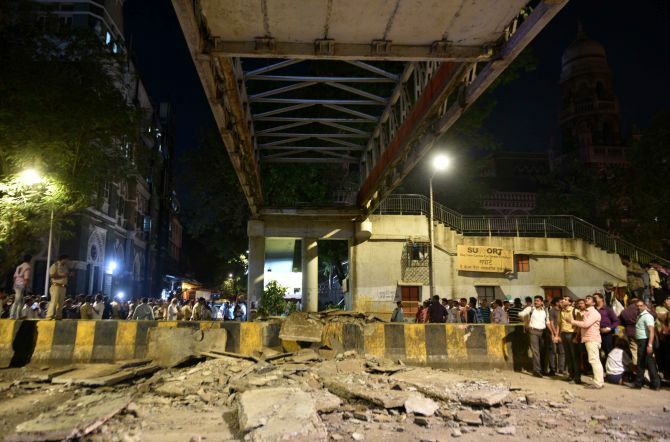 A red signal at a traffic junction near the foot overbridge (FOB) in Mumbai, a major part of which caved in on Thursday evening, proved lucky for a large number of motorists who were waiting for it to turn green. 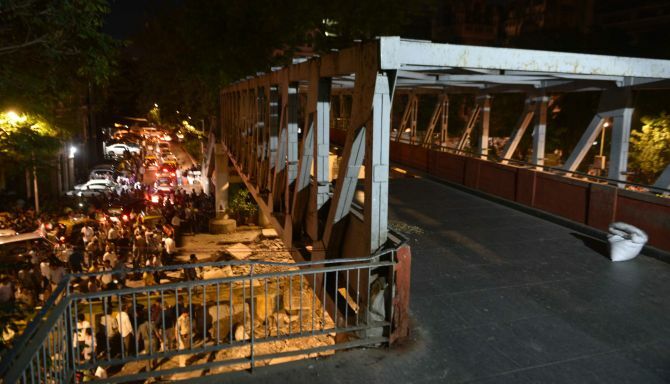 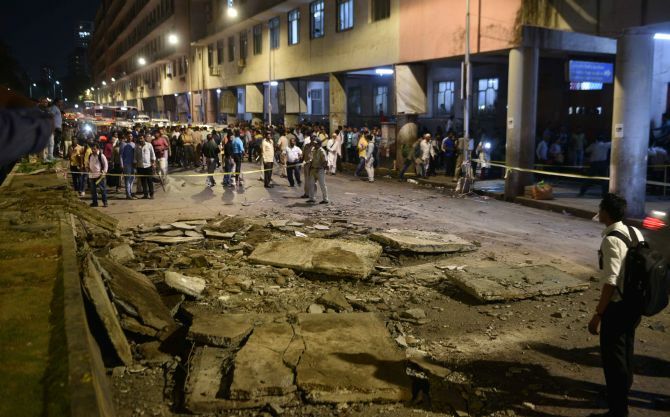 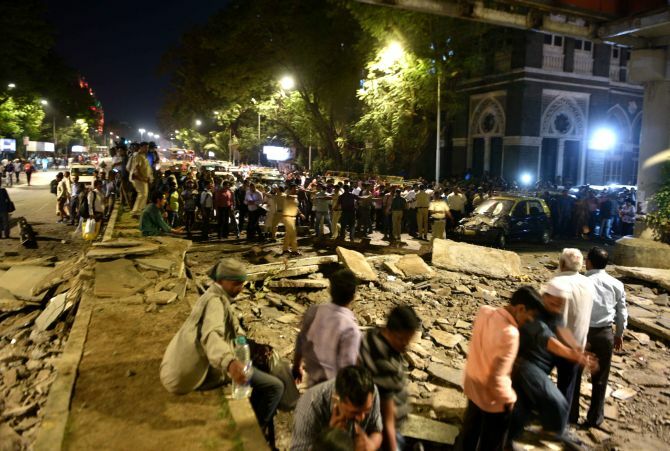 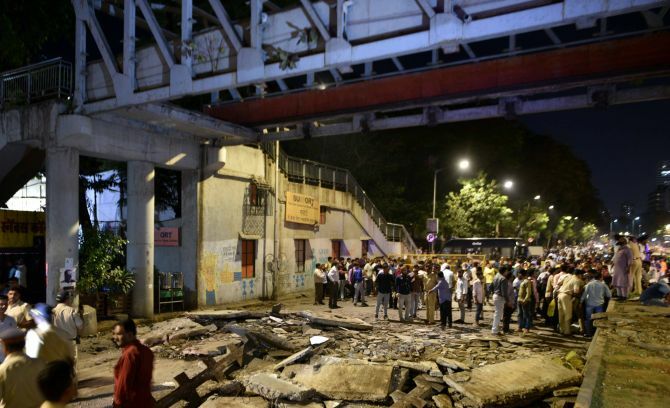 Without the red signal, the motorists would have passed under the ill-fated bridge near the Chhatrapati Shivaji Maharaj Terminus railway station, a global heritage site, when a part of it came crashing at around 7.30 pm. 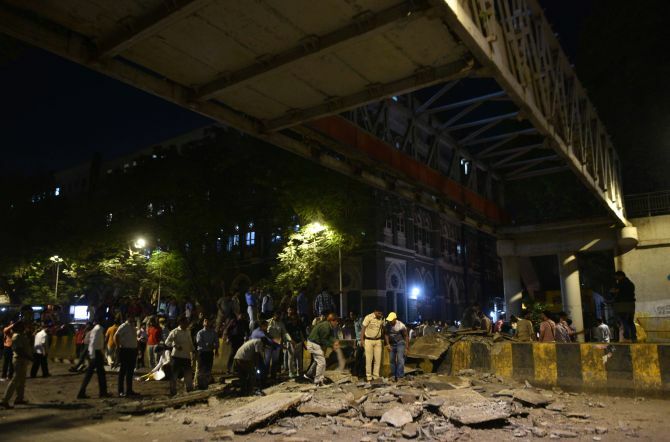 The bridge connected the bustling CSMT railway station with the Azad Maidan Police Station.